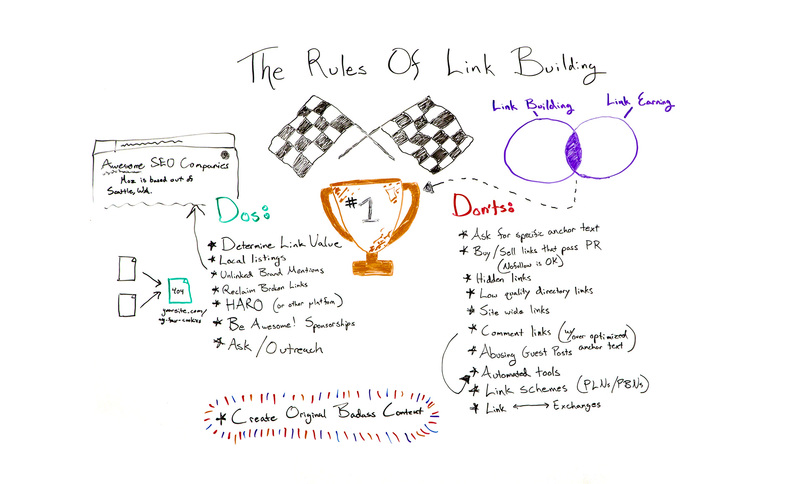 Are you building links the right way? Or are you still subscribing to outdated practices? Britney Muller clarifies which link building tactics still matter and which are a waste of time (or downright harmful) in today’s episode of Whiteboard Friday. Happy Friday, Moz fans! Welcome to another edition of Whiteboard Friday. 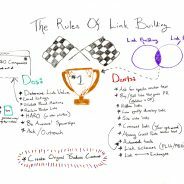 Today we are going over the rules of link building. It’s no secret that links are one of the top three ranking factors in Goggle and can greatly benefit your website. But there is a little confusion around what’s okay to do as far as links and what’s not. So hopefully, this helps clear some of that up. I. Determine the value of that link. So aside from ranking potential, what kind of value will that link bring to your site? Is it potential traffic? Is it relevancy? Is it authority? Just start to weigh out your options and determine what’s really of value for your site. II. Local listings still do very well. These local business citations are on a bunch of different platforms, and services like Moz Local or Yext can get you up and running a little bit quicker. They tend to show Google that this business is indeed located where it says it is. It has consistent business information — the name, address, phone number, you name it. But something that isn’t really talked about all that often is that some of these local listings never get indexed by Google. If you think about it, Yellowpages.com is probably populating thousands of new listings a day. Why would Google want to index all of those? So if you’re doing business listings, an age-old thing that local SEOs have been doing for a while is create a page on your site that says where you can find us online. Link to those local listings to help Google get that indexed, and it sort of has this boomerang-like effect on your site. So hope that helps. If that’s confusing, I can clarify down below. Just wanted to include it because I think it’s important. IV. Reclaiming broken links is also a really great way to kind of get back some of your links in a short amount of time and little to no effort. What does this mean? This means that you had a link from a site that now your page currently 404s. So they were sending people to your site for a specific page that you’ve since deleted or updated somewhere else. Whatever that might be, you want to make sure that you 301 this broken link on your site so that it pushes the authority elsewhere. Definitely a great thing to do anyway. V. HARO (Help a Reporter Out). Reporters will notify you of any questions or information they’re seeking for an article via this email service. So not only is it just good general PR, but it’s a great opportunity for you to get a link. I like to think of link building as really good PR anyway. It’s like digital PR. So this just takes it to the next level. VI. Just be awesome. Be cool. Sponsor awesome things. I guarantee any one of you watching likely has incredible local charities or amazing nonprofits in your space that could use the sponsorship, however big or small that might be. But that also gives you an opportunity to get a link. So something to definitely consider. VII. Ask/Outreach. There’s nothing wrong with asking. There’s nothing wrong with outreach, especially when done well. I know that link building outreach in general kind of gets a bad rap because the response rate is so painfully low. I think, on average, it’s around 4% to 7%, which is painful. But you can get that higher if you’re a little bit more strategic about it or if you outreach to people you already currently know. There’s a ton of resources available to help you do this better, so definitely check those out. We can link to some of those below. VIII. COBC (create original badass content). We hear lots of people talk about this. When it comes to link building, it’s like, “Link building is dead. Just create great content and people will naturally link to you. It’s brilliant.” It is brilliant, but I also think that there is something to be said about having a healthy mix. There’s this idea of link building and then link earning. But there’s a really perfect sweet spot in the middle where you really do get the most bang for your buck. I. Don’t ask for specific anchor text. All of these things appear so spammy. The late Eric Ward talked about this and was a big advocate for never asking for anchor text. He said websites should be linked to however they see fit. That’s going to look more natural. Google is going to consider it to be more organic, and it will help your site in the long run. So that’s more of a suggestion. These other ones are definitely big no-no’s. II. Don’t buy or sell links that pass PageRank. You can buy or sell links that have a no-follow attached, which attributes that this is paid-for, whether it be an advertisement or you don’t trust it. So definitely looking into those and understanding how that works. III. Hidden links. We used to do this back in the day, the ridiculous white link on a white background. They were totally hidden, but crawlers would pick them up. Don’t do that. That’s so old and will not work anymore. Google is getting so much smarter at understanding these things. IV. Low-quality directory links. Same with low-quality directory links. We remember those where it was just loads and loads of links and text and a random auto insurance link in there. You want to steer clear of those. V. Site-wide links also look very spammy. Site wide being whether it’s a footer link or a top-level navigation link, you definitely don’t want to go after those. They can appear really, really spammy. Avoid those. VI. Comment links with over-optimized anchor link text, specifically, you want to avoid. Again, it’s just like any of these others. It looks spammy. It’s not going to help you long term. Again, what’s the value of that overall? So avoid that. VII. Abusing guest posts. You definitely don’t want to do this. You don’t want to guest post purely just for a link. However, I am still a huge advocate, as I know many others out there are, of guest posting and providing value. Whether there be a link or not, I think there is still a ton of value in guest posting. So don’t get rid of that altogether, but definitely don’t target it for potential link building opportunities. VIII. Automated tools used to create links on all sorts of websites. ScrapeBox is an infamous one that would create the comment links on all sorts of blogs. You don’t want to do that. IX. Link schemes, private link networks, and private blog networks. This is where you really get into trouble as well. Google will penalize or de-index you altogether. It looks so, so spammy, and you want to avoid this. X. Link exchange. This is in the same vein as the link exchanges, where back in the day you used to submit a website to a link exchange and they wouldn’t grant you that link until you also linked to them. Super silly. This stuff does not work anymore, but there are tons of opportunities and quick wins for you to gain links naturally and more authoritatively. So hopefully, this helps clear up some of the confusion. One question I would love to ask all of you is: To disavow or to not disavow? I have heard back-and-forth conversations on either side on this. Does the disavow file still work? Does it not? What are your thoughts? Please let me know down below in the comments. Thank you so much for tuning in to this edition of Whiteboard Friday. I will see you all soon. Thanks. Do you want to learn how to increase your traffic and achieve higher rankings for the keywords that can generate more sales and revenue for your website? Then you should learn everything there is to know about SEO and become an SEO Expert. Having SEO expertise is not a sole privilege of SEO professionals. It’s skill that can be mastered by anyone wishing to learn how to do SEO on their own. I’ve been practicing SEO for the last 15 years and in this post, you will learn what steps you need to follow to become an SEO expert. Before getting into the steps, it’s important to understand the difference between an SEO expert and an SEO professional. An SEO expert is someone that knows how SEO works and how to apply SEO to increase the rankings of a website in Search Engines. An SEO professional is an SEO Expert that practices SEO as a profession either by doing SEO consulting, offering SEO services or taking clients on a project-by-project basis. I’m mentioning this difference to point out that you don’t have to practice SEO as a profession to become an SEO expert. There are many advantages as to why you should improve your SEO skills even if you don’t plan to offer services to clients. Increase your rankings and traffic – This is the most obvious reason as to why someone should aim in becoming an expert in search engine optimization. If you know how to optimize your website for search engines then you can take advantage of the increase in rankings and search engine traffic to make money online or build a successful online business. Less dependency on SEO agencies – I know that this is not what you expect to read in the blog of an SEO agency but that’s the truth. If you have in-house SEO skills then you can grow your business without depending on external support. Decrease costs – If you are a solo entrepreneur or blogger you can save a lot of money if you can do SEO yourself than having to hire an SEO consultant. Make better decisions as who to hire to work on your SEO – If you know SEO yourself then it’s much easier to decide which consultant or company to hire to work on your SEO. You will be in position to understand what their SEO packages include and judge if what they are suggesting can actually help your website achieve better rankings. Highly recommended for Marketing managers – if you work as a marketing manager then having a good understanding of SEO will give you an extra advantage over other marketing managers or colleagues in your organization. No business can survive online without SEO – SEO is no longer optional. Websites that are not build with SEO in mind, there is no way they can survive in the highly competitive online World. Knowing SEO and how to use it correctly, can make a huge difference in your website’s future. Now that you are convinced that improving your SEO skills is not only for SEO professionals, let’s see what’s the fastest way to become an SEO Expert yourself. Before even starting to think about SEO, the first step you need to take is to familiarize yourself with how search engines work. For many people this may be something that they already know (or think they know), but it’s always good to start with the basic concepts and then work your way up to the most complicated theories. The resources below will help you understand how Google search engine works, which is similar to how other search engines work too. Before getting your hands dirty, you should have a general idea about all the different disciplines that make up search engine marketing and digital marketing and not just SEO. You should have clear in your mind what to expect from SEO and what other tools you can use in conjunction with SEO to make your Internet presence stronger. SEO is not just about keywords and links, it’s much more than that. The true mission of SEO is to provide users with a great experience and give them exactly what they want. Your goal is not just about getting more search engine traffic but it’s about turning that traffic into recurring visitors and customers. Once you start learning SEO, you will realize one thing: There is too much information about SEO on the Internet and so many things to learn and this at the end creates a mess. If you decide to do this on your own without any help, you will end up with an endless list of articles to read and things to try out. It took me years to learn SEO this way because back in 2000 when I started, there were no SEO training courses or guides you could read and have all the information in one place. Nowadays things are different. People wanting to learn SEO fast can do so by following a reputable course without having to spend endless hours searching the Internet and reading article after article. The Complete SEO Course – Our own SEO course has everything you need to know about SEO. It covers both basic and advanced SEO concepts. You can take the course online or download the material as PDF and learn at your own pace. It is the only SEO Course you’ll ever need to read. Google Digital Garage – Google has created a new set of courses covering everything you need to know about Digital marketing. They don’t go into the fine details of SEO but they are a great resource if you want to familiarize yourself with online marketing. Moz SEO Course – Moz is company famous for their tools but they also created an SEO course which covers the basics of SEO. It’s not complete but it’s a good start for beginners. SEO Guide – This is another guide from Google. It covers SEO from Google’s perspective. This means that you will not learn what actually works for SEO but what Google wants you to learn about SEO. Nevertheless, take a couple of hours and go through the guidelines, there are some good pieces of advice worth thinking about. SEO is not a static discipline. SEO rules and algorithms change all the time. Google alone is making more than 250 changes to their ranking algorithms per year. Good SEO experts need to know about these changes and adjust their SEO campaigns accordingly. The best way to stay informed is to follow a couple of SEO news websites that are proven to provide information about on-going SEO changes when they happen and not after it’s too late to do something about it. Search Engine Roundtable – A must follow website by all SEO experts. Daily news about everything that is happening in the SEO industry. For me this is the most valuable and useful SEO news website in our industry. Search Engine Land – One of the oldest websites in the SEO industry. Previously owned by Danny Sullivan, now he works for Google. Google Blog – Google recently established a blog for sharing news related to Google products. They occasionally share news about Google search as well. Google search blog – a blog by Google dedicated on Search. Google Webmasters Blog – the official Google webmasters blog. Follow to get news about the latest changes in search. Reliablesoft SEO Blog – Our own SEO blog. It is updated on a weekly basis with guides, step-by-step articles and resources to help you practice SEO efficiently. The truth is you cannot do SEO alone. There is so much information to process and decisions to make and if you try to do everything manually, you will spend your precious time into analyzing numbers instead of working on tasks that can get you better results. It’s also true that good SEO tools cost but in the long term the return is much more than the monthly fee you will pay for a good SEO tool. Google Webmaster Tools (Free) – Google webmaster tools is perhaps one of the most useful tools for SEO. It is free and it can give you a lot of information about your website. Read my previous guide on how to use Webmasters tools to improve your SEO. Google Analytics (Free) – Another free tool by Google. You can use Google analytics to learn a lot of things about your traffic and how users navigate your website. There are a lot of reports to explore and many metrics to analyze. This article, Google analytics for beginners, is a great place to start. SEMRUSH (Paid) – This is my favorite SEM tool. It’s not free but you can use it for your SEO, PPC campaigns, competitor analysis, keyword research, link building, social media monitoring and many more. It is updated frequently with new features and it’s one of the best investments you can make for your SEO. Ahrefs (Paid) – An alternative to SEMRUSH. It comes with a monthly subscription but it’s also one of the most respected SEO tools in the industry. Comes with a 7-day free trial so you can test it out before buying. SEO is not theoretical but it’s mostly practical. The outcome from studying the SEO theory should be a list of actions you can apply to your website and improve your exposure in search engines. The problem is that each website is unique and what works for one website may not be the best solution for others. That’s why it is necessary to actually practice SEO and not just stay theoretical. 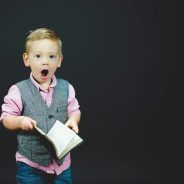 Reading case studies on how others have managed to succeed with SEO campaigns it’s a great way to get new ideas you can use and the inspiration you need to keep trying until you get SEO right. They say that one of the best ways to learn something is to try to explain it to other people. This is true with SEO as well. I have learnt a lot of things and improved my SEO skills considerably when I started writing about SEO. My recommendation is to start an SEO blog or a personal blog and share your SEO experiences with other people. Over time you will find that sharing knowledge is a great way to learn new things about SEO and at the same time you help other people, which is a highly rewarding experience. There is no way to talk about SEO and not mention the word “patience”. SEO takes time to work and you shouldn’t rush into conclusions too soon. SEO is not the quickest way to increase your traffic. If you want immediate results then try PPC campaigns. SEO is about creating a long term sustainable business by building a solid foundation that will get you organic traffic 24/7 for years. Before making any SEO related change to your website you should take note of your rankings and traffic (for a period of time), before the change and compare it with the same period of time (in terms of duration), after the change. Monitor your rankings and traffic and give it enough time before taking further decisions. 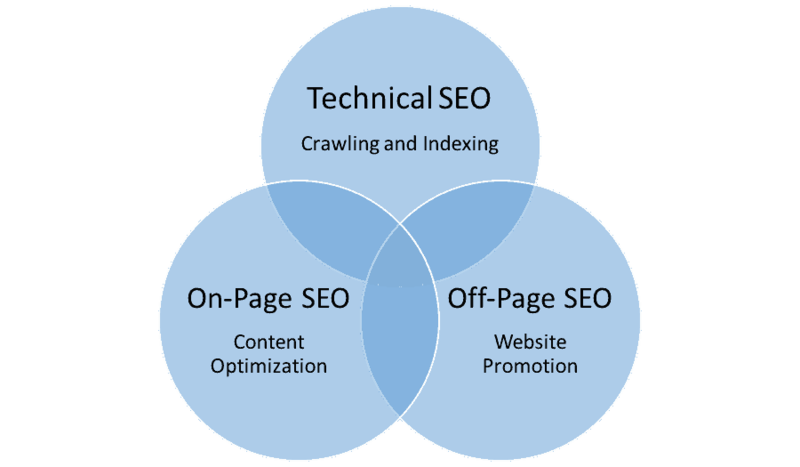 Last but not least, in your path to become an SEO expert, you will face a number of difficulties. There will be times when you will be disappointed, frustrated and ready to give up. Don’t worry, this is normal to happen. If you read the stories of other people you will understand that none of them became what they are today because they are lucky. It’s the result of hard work and endless hours of testing and reading about SEO. Read their stories and spend some time analyzing their SEO practices. You may find that sometimes they do things differently than ‘traditional’ SEOs and this is because they have the confidence and expertise to try new things and experiment with SEO without being afraid to fail. Neil Patel – One of the most respected SEO Experts in the industry. Don’t just read his blog but try to analyze his practices and how he managed to use content SEO in scale. Brain Dean – He is the expert in link building. His blog is a great resource for case studies and techniques you can use to get fast results. Eric Enge – Speaker, Founder and CEO of Stone Temple. An SEO with years of experience in the industry. 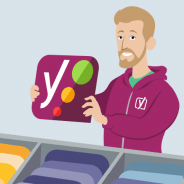 Joost de Valk – Founder and CEO of Yoast, the most popular SEO plugin. Rand Fishkin – Co-Founder of MOZ, great presenter and entrepreneur. Everyone that has anything to do with a website or online business should become an SEO expert. The list includes marketing managers, developers, webmasters, web designers, social media managers, PPC experts, solo entrepreneurs and ecommerce owners. Why? Because SEO is at the base of all digital marketing campaigns. SEO principles will not only guarantee the maximum possible exposure in search engines but they can help a website in more ways. Becoming an SEO Expert is not easy but it’s not difficult either. The process includes a lot of reading, practicing and testing. If you are starting out now, the best way is to take a good SEO course so that you have all information in one place, use the right SEO tools and above all start practicing SEO. Learn from your mistakes and try again. Search engines and SEO are here to stay for years to come and this is the best investment you can make for your business and personal skills. The post How to Become an SEO Expert (10 Steps Guide) appeared first on reliablesoft.net. When you’re a small business owner, you can either pay $300-$800 to put up a small billboard for 4 weeks or spend 6 hours a week to promote your business on a free social media site. I’m not saying free is better, but when you know how to do it well, why not? So here’s a step by step guide for your venture into the world of social media marketing. Does that sound scary? Well really it’s just like telling your friends to try out your stuff, but on the internet. No big, fancy, intimidating words, I promise. Now let’s get started. I personally spend more time on Twitter than Facebook but that doesn’t mean you do too, right? 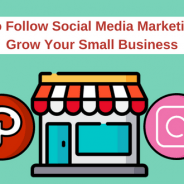 If you want to start building your business presence on social media sites, the one you’re the most familiar with might not be the best one for your business. There is a handful of social media sites that you can choose from: Facebook, Instagram, Google+, Twitter, LinkedIn, Pinterest etc. So which one should you choose? Well, the one where your customers are! Let’s look at some basic info of these 6 major social media sites to help you decide. It is obvious that Facebook is the champion in terms of active users. 1 billion people that can potentially be your customer sounds fantastic right? Well, it is fantastic. In fact, 68% of US adults use Facebook. So if you’re not sure where your customers like to hang out, at least some of them will be on Facebook. The most prominent feature of Facebook is how users can share posts from others. Create share-worthy contents so that your initial followers will share it with their friends. And their friends can share it with their other friends. That way, you can make the most out of the 1 billion Facebook users and hopefully, actually, reach those who will buy from you. What do people usually share? Well, discounts and promotions work the best. Note the difference of shares between the promotional campaign post and the normal post? Pinterest on the other hand has only 70 million active users, that number is an infant compared to those of Facebook. But here’s the thing, their user demographic is also much narrower, which means there might just be where your customers are. Look at this, 68% percent of Pinterest users are females. Are your customers mostly female? Pinterest is also a visual discovery site. Do you perhaps bake cupcakes with customizable intricate frosting? Pinterest might just be where the millions of cupcake lovers hang out. There, you got your social media site pick. Point taken: If you know your customers, find out which social media site they hang out at. But if your customers are really everyone possible, Facebook is your safe bet. Place your focus on one site and grow it is a good strategy. But if you want to spread out, I won’t stop you. Before you do that though, let me ask you a question. Why? Managing multiple social media profiles will take up more time than just having one. If your twitter is just endless automatic sharing tweets of your Instagram post, why bother? You’ll probably feel annoyed if the radio, newspaper, TV shows and your neighbor is all talking about the exact same thing. Your customers feel the same. Of course, there will be people who only have Twitter. Perhaps they only do their shopping research on Instagram. Then being on multiple platforms can extend your outreach. What you need to do is make use of the prominent features of specific social sites. You don’t post the same thing on your Pinterest and Twitter, your business shouldn’t be otherwise. Twitter is a microblogging platform so post your 300 words promotion pitch on Facebook instead. Your cupcake photo is cute but it will work better on Pinterest compared to Facebook. Take into account the different demographics active in different social media sites. Some might be more interested in your baked goods photos. While others will have more interest in the kind of events you have served. Point taken: Different social media sites exist for different reasons, you should use each of them for different reasons too. Rome wasn’t built in a day, customers won’t suddenly start rolling in after 2 weeks of social media marketing efforts. It may take up to a year before you have a profitable following online. Just remember that everything takes time. Stay patient and stay committed. Develop a schedule that works with your social media audience. Publish posts when they are the most active to achieve maximum momentum. Allocate an hour or less a day to scroll through the comments you have received, check how many likes and share or perhaps retweets you have, reply any inquiries etc. Make it a habit and integrate it into your daily tasks. That way you can avoid creating another business profile that got abandoned in the webs of social media sites. Branding is a big word, so what about showing them what you are? In order to stand out in the crowded business scene, you need to establish something that people can associate to you at once. It doesn’t have to be all grand and purposeful. You can simply be “Male haircuts in 10 minutes guaranteed” or “Your trusty 24 hours plumbing service”. Now treat that as the motto of your business. Don’t just say it, you have to deliver. And by delivering promises you are building your brand. More often than not, someone who visits your social media profile does it more out of curiosity. They want to find out who you are, what you do, where you are, what do you have, are you any good etc. The point is they are not looking to buy anything from you yet. The worst you can do is scare them away from becoming an actual customer. You can post about your product but make it in a way that’s more informative than sales pitching. You might ask what can you post if it’s not about your business? The thing is you need to understand that your business social media profile doesn’t need to be only about your business. Greet your followers a good day, make a 4th of July post or even a TGIF (Thank God It’s Friday) posts. Post stuffs that your customers can relate to. So make it a good mix between of greeting posts, promotional posts and behind the scene posts. Utilise photos, illustrations, quotes, videos, and texts to show a variety of contents. That way you can stay fresh and your followers won’t be bored with the same thing every day. This little # sign can make a big difference to your social media presence if used correctly that is. Hashtag should only be made up of alphabets and numbers, no special symbols and no spaces. There is no difference between a capitalized and non capitalized hashtag. However, properly capitalized hashtag does make it easier to read. A correctly formed hashtag can usually be noted by its blue font color. One thing that is common for hashtags is they should be related to your post. It can be your location, your business category, a celebrated festival or even specifically coined ones to encourage conversation on a topic. The easiest way to use a hashtag (noun) is to hashtag (verb, confusing I know) the topic of your posts. Like this post celebrating #MothersDay by McDonald’s. The rule of thumb is to not use more than 3 hashtags in a post, even using 3 is pushing it. Abusing hashtags on Twitter is especially frowned upon. As an avid Twitter user myself, I can tell you that a tweet made up of hashtags will be promptly ignored. Like what McDonald’s did, you can and should definitely try to chime in on current events. Plan your mother’s day post, father’s day post, independence day post, Merry Christmas post, you name it. Take mother’s day as an example, you can use the opportunity to ask your followers question. Such as what is your mom’s favorite meal for a mother’s day dinner? Ask some questions that can be useful to you. That way you can collect helpful information and at the same time engage with your audience. Continuing with the mother’s day theme, mother’s day is a big celebration. So instead of making just one post on the day itself, you can plan a series of posts. Maybe a reminder post one week before the actual day, a mother’s day promotion before the actual day arrives and of course a post to appreciate all the mothers around the world on the day itself. The point here is, you can develop and make full use of your contents to build a stronger impression. Have you realized how I’ve been using mother’s day as an example topic across three tips? Does it make an easier read for you now that I’m not jumping examples from plumbers to barber to baker? It does make my writing process easier though. It will make yours easier too. One feature that is a staple across all the social media sites is inserting images. You can add one or more pictures to your Facebook posts and you definitely need a picture if you’re even thinking about posting on Instagram and Pinterest. You need to take advantage of that. Post engaging pictures that can attract eyeballs. Bakeries, delis, diners, and restaurants have an advantage here because who doesn’t like a photo of a good meal? If you’re a plumber, no, stop focusing your camera on the plunger people wouldn’t want it on their facebook feed. A photo with your happy customers would be nice instead. And that actually applies to all businesses. Or perhaps a little behind the scene photo before you head out to rescue another clogged kitchen sink. A simple photo can tell a big story, so share your stories using photos. Everyone likes a good story. 11. Keep your customers in mind – what would pike their interest? I have shared with you a lot of tips about what to post, but at the end of the day the most important thing to consider is this, will your customers like it? If you’re a little mom and pops store and you know Rebecca’s five-year-old son Taylor likes puppies, perhaps you can post some cute puppies photo. If you just started up and don’t really know your customers yet, you gotta imagine how your customers will be. Are they in their 20s or 40s? Are they married? What is their job? Then try to look for a topic that would interest them. When you know what they like and you post what they like, in return, they will like you more. Figure out where your customers are and what they like. This might not apply to every business out there but if you’re doing a beauty business, this is relevant. There’s a lot of beauty gurus on the web that has a huge following. If you know who they are you can try to reach out to them. Perhaps give them a sponsor and in return, they might talk about you. Then their thousands of followers will know about you and perhaps will become your customer. Yes this Instagrammer has 1.6 million followers. A lot of those influencers has a P.O box where people can send them stuff. The chance that they will notice you might not be that high but hey, at least you tried. A social platform is meant to be interactive. Do some digging around to see whether people are talking about you. Of course, some would leave you a comment or mention directly but some might not. Especially if you just started out and people aren’t aware of your social media presence yet. Customers feedback is important. Without it, you can’t really know what you did right or did wrong. So keep an eye out of what people are talking about you. Or better yet, reach out and tell your customers about your social media profile and they might start leaving you messages and comments. If there are bad comments, curb it and try to make what’s wrong right again. If there are good comments, yes you’re doing the right thing and now you got free promotion. Word of mouth is still an important way of promotion. So if people are gonna talk, make sure that they talk good. We’re at step 14 now, have you sighed a little and think that this is quite a lot of work? Well, it doesn’t have to be. You should keep a calendar and keep note of what to do every day. That way you won’t confuse yourself and get things mixed up. Get your posts planned out at least a week ahead. When the day arrives you don’t have to spend hours researching and thinking about what to post. Since you already got it all planned out. Everyone should keep a calendar on everything anyways. So why not a calendar for your social media posts too? Keep a calendar to keep track of planned posts. Perhaps 3 months, 6 months, 12 months down the road you will have grown a decent number of following. Hey, that’s great right? But it might also be too much for you to handle on your own anymore. You still have a business to run, the day to day operations, accounts, and on top of all of that, you need to maintain an active social media account. The thing is, you don’t have to do it all alone. If your social media presence has grown so much it probably means your customers have grown too. At this point, you should probably think about making a budget for either some tools for managing social media accounts or hiring someone that can handle it for you. HootSuite, Sprout Social and Buffer are applications that help you to plan ahead and schedule posts. For analyzing you can consider sumall or quintly. There’s still a lot of options out there, so explore and choose the one that is the best for you. With 69% of US adults on social media sites, you really don’t want to miss out on this huge opportunity to promote yourself. Everything is so user-friendly now I’m sure you can handle it like a pro in no time. Still remember the first tip? Now it’s time to find out where your customers hang out online and get started. Download your free ‘Best & Worst Time to Post On Social Media’ Infographic! We’ve all seen pagination links — those little numbered links at the top and bottom of multi-page content. They are used on blogs, e-commerce sites, webcomics, gallery pages, SERPs, and multi-page articles. From the human visitor’s point of view, pagination is pretty simple. If you are on page one, and you want to see page two, you click “2” (or “next”, or whatever). You don’t really have to think about it. From a web crawler’s point of view however, it’s a bit more complicated. For sites with a simple tree-like structure, this works pretty well. The crawler reads the home page. Then it follows links from the home page to (for example) each of the top-level category pages. Then it follows links from these to the secondary category pages, and then from these to the content pages. In this simplistic example, the crawler can get from the home page to anywhere else on the site by following at most three links. Suppose you have a website that contains a sequence of 200 numbered pages. For purposes of this example, it doesn’t really matter what kind of pages they are. They could be product listings, or blog posts, or even a single article split into 200 pages. (Please don’t actually do that.) What matters is that there are 200 of these pages, and they are numbered sequentially from page 1 to page 200. Each colored dot represents one page. A connection between two dots means the downstream page (the smaller dot) was discovered on the upstream page (the larger dot). That long squiggly tail is a “tunnel”: a long connected sequence of pages that the crawler has to walk through one at a time. When content is buried hundreds of links deep, it sends a strong message to the search engines that you don’t think the content is important. The pages will probably be crawled less often, if at all, and they probably will not rank very well. If just one page in that long chain returns an error (e.g. because of a temporary server hiccup), the crawler won’t be able to discover any of the other pages downstream. Sequential chains can’t be crawled in parallel. In other words, the crawler can’t request more than one page at a time, because each page can only be discovered after the previous page has loaded. This may slow the crawler down, and may lead to incomplete crawling. Human visitors will probably never reach the deepest pages at all, unless they are extraordinarily patient and persistent. If a human visitor does wish to see your deepest pages (e.g. because they want to read your first blog post), they are likely to give up in frustration long before they get there. This is somewhat better. Now there are two tunnels, but they are each half as long. One of them starts at page 1 and counts up to page 101, and the other starts at page 200 and counts down to page 102. This cuts the maximum depth in half. This is better, but still not great. The most interesting thing about this chart is that it looks almost the same as the previous chart, even though the pagination schemes for the two are quite different. As before, numbered pages are split into two tunnels, each around 100 pages long. The difference is that now the tunnels are split into even-numbered pages and odd-numbered pages. In the previous chart they were split into ascending and descending order. This raises the question: if each of these schemes cuts the maximum depth in half, what happens if we combine them both together? This is just the last two schemes combined together. This scheme allows you to skip ahead two pages at a time, and allows you to jump to the end and then work backwards. Most real-world websites use something similar to this (like the site you are reading right now, for example). This has cut the maximum depth down to a fourth of what it was originally. This is a significant improvement. But why stop there? What happens if we go crazy? We’ve seen above that being able to to skip ahead by just two pages can cut the maximum crawl depth in half. So why not take this to extremes? Why not allow skipping by, say, eighteen pages? This allows the crawler (or human) to skip ahead by as many as eighteen pages at a time. It also still allows the crawler to jump to the end and work backwards, as before. This should reduce the maximum depth by quite a bit. Yes, all those numbered links are kind of ugly, and they add a lot of clutter. You probably wouldn’t use this on a real website for that reason. That’s OK though, because this is just an experiment. Let’s just try it and see what happens. This brings the maximum depth down to just seven, which is a huge improvement. Unfortunately, this scheme is probably too ugly and visually cluttered for users to be a good choice for most real-world applications. Note that this is exactly the same as the “Step by Two, plus ‘Last’ Link” scheme above, except with two additional links inserted. The “101” in the above example was added because it is the midpoint between 3 and 200, and the “113” because it is the midpoint between 27 and 200. 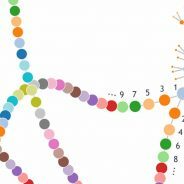 In other words, the new link is based on the number you get by averaging the numbers immediately to the left and right of the “…” in the old scheme. These midpoint links make it possible to for a crawler to get from any page to any other page in just a few steps. This shows the same level of crawlability improvement as the previous chart, but now with a scheme that is much easier to read (if a bit counterintuitive). But How Do These Pagination Structures Scale? So far, all of the examples have had a mere 200 numbered pages. This creates simple easy-to-understand charts, but a real website can easily have tens of thousands of pages. What happens when we scale things up? Let’s run the last two crawls, with the same two pagination schemes, but with a hundred times as many pages. Yes it looks kind of pretty, but it’s terrible as far as crawlability and click depth. The deepest page is at level 557. This scheme does not scale very well at all. The relationship between page count and maximum depth is more-or-less linear. In other words, if you double the number of pages, you double the maximum depth. The deepest page is now at level 14. This is a dramatic improvement, meaning this scheme scales extremely well. The relationship between page count and maximum depth is (nearly) logarithmic. In other words, if you double the number of pages, the maximum depth only increases by one. In general, if a chart is mostly made of long squiggly tentacle-like structures then the relationship will be linear (which is bad), and if the chart has a finely-branched tree-like structure, then the relationship will be logarithmic (which is good). Begging the million dollar, win-both-showcases, takeaway question: is this midpoint link pagination worth using? If you’re looking for conclusive advice on the structure of your site, the Portent team will almost always favor user experience over pleasing the search engine overlords. But getting the right, highly specific content in front of a searcher as quickly as possible is absolutely part of user experience. If that long-tail content is hundreds, or even thousands of clicks away from your homepage today, taking proactive steps to reduce click depth could well be worth it. If you have many tens of thousands (or even hundreds of thousands) of numbered pages, this midpoint link pagination scheme may help to get your content crawled more thoroughly, and may help the deeper pages to rank better. On the other hand, it may be a bit confusing to the user and will add some clutter. For smaller sites, the “Step by Two, plus ‘Last’ Link” scheme may be a better choice. In the end, the point of this experiment and exploration was to shine some light on an often-neglected part of most websites, and to show that small changes to your pagination can have a surprisingly large impact on how a crawler sees your site and all that wonderful content. The post How Site Pagination and Click Depth Affect SEO – An Experiment appeared first on Portent. There’s a seemingly intuitive – but in practice misguided – logic that continues to lead marketers astray when trying to optimize website content for SEO. Since search engines are designed to accept keywords as input and show search results that are most relevant to those terms, you might reason: “Why not cram those keywords into my content as much as possible?” Well, because you’ll be doing a lot more harm than good. This practice is called keyword stuffing, and it actually used to be fairly successful – until search engines wised up to it and began penalizing websites that did it. Today, stuffing a keyword into your content too many times can actually knock the stuffing out of your search rankings, or even cause your content to be removed from search listings entirely. Why is the practice of keyword stuffing so problematic? Search engines are in the business of connecting an audience with the content that will satisfy their search intentions, which means they use algorithms that do their very best to favor high-quality, informative content. When content isn’t written for a human audience, but is instead structured to game an algorithm, the result is usually a spammy and artificial read that doesn’t serve a site visitor’s needs and (in almost all cases) doesn’t deserve their attention. Consequently, keyword stuffing is rightfully considered a black hat technique that goes against SEO best practices. How does keyword stuffing work – and how do you know if you’re doing it? Unfortunately, many marketers and content creators still practice keyword stuffing (believing it to be an advantageous strategy for the logic described above). However, doing so can and will cripple their sites’ standings with search engines as a result. Say that a kitchen appliance ecommerce site wants a content page to rank highly in search results for the term ‘most affordable toaster’. An example of keyword stuffing would be if they unnecessarily included the phrase ‘most affordable toaster’ line after line, even jamming in ‘most affordable toaster’ where the term is out of context or irrelevant to the content topic. Most affordable toaster. In the most egregious cases, the content may just repeat the keyword in a block of text. Did I mention most affordable toaster? There’s actually a useful equation that should be applied as a best practice to govern how often a keyword ought to be included in a piece of content. While the guideline is flexible, it’s best to aim for a keyword density of 2% or less, where keyword density = the number of times the keyword appears in the copy divided by the number of total words in the copy. For example, the above paragraph is 88 words and includes ‘most affordable toaster’ five times, giving a keyword density of 5.7% – much too high! In an attempt to avoid alienating readers by making them read spammy, unhelpful copy, some sites will stuff keywords where they aren’t visible. This can include camouflaging text by making it the same color as the webpage’s background, or placing text within the page’s code, such as in meta, alt, and comment tags. Even more so than with visible keyword stuffing techniques, these efforts are aimed solely for the consumption of search engine crawlers and not actual human readers. 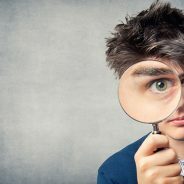 This attempt to fool the algorithms that determine search rankings is (once again) not as clever as it might seem, because search engines actually can and do recognize these misguided efforts and penalize pages’ search rankings in response. As with most aspects of life, doing the right thing is the right thing to do if you want your site’s visibility to grow. Attempting to deceive search engines with keyword stuffing shortcuts isn’t going to work – following legitimate SEO best practices will. It all begins with creating content with real visitors in mind, and then building out that content to meet their needs. Google offers guidance on producing quality content pieces around targeted keywords, suggesting that sites should “focus on creating useful, information-rich content that uses keywords appropriately and in context”. One important technique – which is nearly the opposite of keyword stuffing – is to be sure that each content page focuses on a single primary keyword that is closely representative of the content as a whole. Ideally, this keyword should be a popular search term with minimal competition, making it a ripe target for your page to achieve a high rank. By focusing each page on a separate keyword, you make it significantly easier for search engines to understand what each content page is about and will avoid keyword cannibalization (where two or more of your pages end up fighting for attention). Another best practice is to make sure content pieces include more than 300 words in the main body copy. Doing so alerts search engines that the content is probably robust enough to offer valuable information, and it helps with ensuring a keyword density of under 2%. And while keyword stuffing will earn negative results, it’s a good practice to incorporate secondary keywords, keyword synonyms, and long-tail variations of the primary keyword within content copy in order to reinforce the topic’s focus. It’s also perfectly acceptable (and smart) to place the primary keyword once within page elements, including the page title, one or more subheadings, the title tag, meta description, one or more image alt tags, the first paragraph, and near to the end of the content. Provide the quality of content that rewards (and brings back) your audience and customers. Kim Kosaka is the Director of Marketing at Alexa.com, whose tools provide insight into digital behavior that marketers use to better understand and win over their audience. Update as of May 2018: There is no fixed length for search snippets according to another Danny Sullivan tweet on 14 May 2018. So, do Meta Descriptions even matter anymore? I’ve got some thoughts, read more here: Meta Descriptions are Still Important! Just in case you hadn’t heard yet, On December 1, 2017, Google (read: Danny Sullivan) officially confirmed that the maximum length of a snippet in their search results has increased to about 320 characters. How long should my Meta Description be? Google is now saying that the maximum length for a snippet in search results is 320 characters including spaces & snippet features, like the Published Date. I more often recommend a length of 300 characters for a Meta Description. However, other data providers like RankRanger have noted that the new descriptions have yet to exceed 300 characters in the wild and are currently averaging out to only about 230 characters. Do I need to rewrite all my Meta Descriptions for 320 characters? In a word: No. But while you don’t need to rewrite all your Meta Descriptions this instant, you might want to consider it. For instance, I’m starting the shift in length with any new pages that Portent or our clients produce. From there, we’ll be working down the list of existing pages starting with high-value pages first. Most of these longer snippets are being dynamically generated by Google and are highly dependent on the search query. What this means is that it might not matter what you write for the Meta Description if Google thinks they can craft a better one. Thanks Google! Ultimately we decided to go out and do some light spot checking of our own to see what’s happening out in the wild. We found out a few interesting things using a super scientific, data-intensive study of two different SERPs, that’s TWENTY blue links people! 55% of snippets exceed 160 characters. More than half of all snippets are now longer than the old character limit! 30% of snippets exceed 300 characters. 10% of snippets exceed the supposed limit of 320 characters! Only 1 Meta Description was longer than 300 characters in a targeted attempt to utilize the extra space (I see you Moz) and even THAT ONE was rewritten in the Snippet! Ultimately, if we want Google to use our expertly written Meta Descriptions, we need to change the way that we write them by using the increased real estate to better answer user questions and encourage click-through. But, even our best efforts may go unrewarded. If you’re already familiar with our SERP Preview Tool, it’s been updated! Be sure to clear your cache for this page or do a hard refresh when you get there. Moz: What Do Google’s New, Longer Snippets Mean for SEO? The post New Length for Google SERP Snippets & Meta Descriptions appeared first on Portent. Posted by on Jul 14, 2018 in SEO Articles | Comments Off on Should You Buy Backlinks in 2018? Are you thinking about buying backlinks in 2018? Almost every person who has done SEO has considered buying links. Let me start with the reasons why people (like myself) buy or have bought backlinks. What some people don’t realize is that both white hat or black hat link building tactics are huge time killers. Let’s say you want to focus on white hat link acquisition. If you want to have a life outside of just acquiring backlinks, you to create systems, procedures, and hire staff to perform these tasks. Not only that, you will need to train each person, so that they can perform this task the right way. Oh yeah, let’s not forget that none of this will go according to plan. That means you either have to hire a project manager or be the manager yourself. So, the moral of this short story is that when people are buying backlinks, they aren’t actually buying a backlink. They are buying a process. Now, once again, you could do this all yourself, but your life would be dedicated to PBNs. What I explained above is for one domain. After you get more than one, other operational issues come into play such as managing the network, dealing with hacked sites, dealing with unreliable hosts, and even dealing with your sites getting deindexed. On the other hand, you could just use a service to go through this entire process for you. Once again, you are buying a process. Buying links (buying a process) saves time. But that’s not the only reason why people buy backlinks. I’m going to assume you’re trying to do white or grey/black hat link acquisition yourself. If that’s the case, buying backlinks would clearly increase the speed for seeing results. That’s because you aren’t spending hours on these mind-numbing tasks. Instead, you would be able to focus on other SEO priorities such as content creation, technical optimization, UX, page-level optimization, and even CRO. So, after what you just read, you probably think I’m all for buying links. Let’s take it back a notch because there are some caveats that you need to consider. Buying backlinks is against Google’s Webmaster Guidelines. It doesn’t matter whether it’s blogger outreach or whether you are using private blog networks. Buying backlinks is buying backlinks. That means the big danger is if Google catches you, you will get a manual action against your site. In short, that means your organic search traffic will get murdered overnight. This is not a good feeling and I’ve felt on several different occasions. Buying placements on real websites is less risky than investing time and capital into fake websites. All forms of link buying carry risk. But from a risk perspective, it’s very challenging for Google to know with absolute certainty whether a link is natural or not. The same is not true for private blog networks. Sure, a guy like Matt slips under the radar because he has developed strong systems. But for most people dabbling in PBNs, you will probably get nailed because you will leave footprints. Google has no sympathy when it comes to your expired domains, but they would be reluctant to slap Forbes or some authority website with a manual action. Getting backlinks on real websites is safer than get backlinks on fake ones. If you’re willing to accept the risk of losing your traffic overnight, then just roll the dice. It’s ultimately a matter of risk analysis. Is saving time and getting results faster worth the risk of getting nailed? That’s for you to figure out. Remember that certain link types have elevated risk. For example, buying PBN links is riskier than buying a link placement on a real blog. One way to decrease risk is to create a site outside of your real business. For example, let’s say GotchSEO.com is my company website. I would create a separate site hypothetically named “SEOdudes.com” and I would focus on ranking it. That way if “SEOdudes.com” gets hit, at least my company site would still be intact. This of course isn’t a full-proof strategy because A) it’s a waste of resources and B) your company site could still get nailed if you link the two together. I know firsthand how SEO can be all-consuming. When you’re first getting into it, it’s hard to think about anything else. This isn’t a problem in the beginning because immersion is an effective way to learn, but you have to adapt overtime. It’s easy to get trapped in the SEO bubble and forget that there are high-impact activities outside of SEO that can explode your business. The truth is that some businesses are not equipped for SEO out of the gate. SEO is FUEL on the fire. It shouldn’t be your first move. Creating a great product/service is what matters most. It doesn’t matter how good you are at SEO if no one wants to buy your product or service. The one exception is for affiliate marketers. Affiliate marketers can make a substantial income without needing a product. 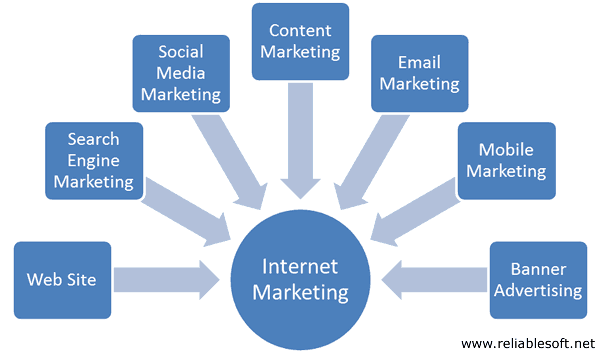 As you can see there’s a lot you can do to grow your business outside of SEO. And this is just scratching the surface. Now let me explain some basic math, so you can figure out how to allocate capital. One of the biggest elements of effective marketing is figuring out what gets a business the best Return on Investment (ROI). SEO can produce incredible returns, but you need to understand where to invest your capital. You also need to make decisions based what stage you’re at in your SEO campaign lifecycle. It’s always going to be better to invest in content if you’re in the early stages of an SEO campaign. There is no good reason to invest in link acquisition if you don’t have a well-optimized site or a base of content assets. Buying quality backlinks are EXPENSIVE. For example, you can buy a NoFollow link placement on Inc. for $1,500-$2,000. Do you know what you could do with $1,500? The big takeaway is that there are many ways to get an ROI in your business outside of buying backlinks. SEO is a long-term game. That means you would be foolish to avoid investing in these other areas while you sit back and wait for your organic search traffic to grow. If you decide to buy backlinks, then make sure that A) you have a strong foundation and B) only invest in quality placements like those from our blogger outreach service. Keyword Research is a fundamental principle of SEO. As marketers, we know by now that it can help drive traffic to our sites and improve organic search rankings. With the vast amount of tools available, it can be hard to find the right one. While doing keyword research for a client, Distilled Analyst Lydia Gilbertson introduced me to arguably the best tool out there – Ahrefs’ Keywords Explorer. 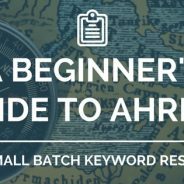 This tutorial will walk you through the keyword research process for a client and show you how to take actionable decisions from the results by using Ahrefs’ tools. Compared to their competitors, Ahrefs ease of use and minimal navigation required to achieve the desired results is what sets it apart. Sure, other industry tools will give you similar data and metrics, but Ahrefs has the most comprehensive set. The variety of tools allows you to handle all your website’s metrics in one place. This is where the competitors fall short. An e-commerce site looking to improve keyword targeting on their site’s top 20 product pages. A nice, small batch of URLs that we can dive into finding trends and do competitor research around. When starting research for the client, look at the product pages and examine the title and H1 tags. These give a good sign of what the page is trying to target and might currently be ranking for (Note: also where the most improvements can be made. We’ll touch on that later). It is helpful to pull this data from a Screaming Frog crawl and have the titles and H1s in a list. Seed keywords can be made by directly using a part of the page’s current title or H1. Another effective technique is to think like a user or customer of your site would. For example, say a customer is looking to buy an aluminum water bottle. The first searches that come to mind are “best aluminum water bottles” or “aluminum water bottle brands”. Apply this method to some of the pages you are wanting to find keywords for. This technique is especially helpful when trying to find long-tail keywords. As always, put the ones you come up with on a separate sheet list for easy inputting into Ahrefs. By pasting the URL into Site Explorer and keeping the “domain” setting as is, you will get keyword data on the whole domain, and not just the particular URL. Ignoring everything else on the Site Explorer page, you should then navigate to the Organic Keywords section. Below you see a list of all the keywords the competitor is ranking for. By default, this list is sorted by traffic, but clicking any of the metrics you can sort it by that metric; either highest or lowest. There will always be self-referencing (or branded) keywords but you can remove these after exporting the data. Focus on the keywords that apply to your site. I recommend combining the three methods above to generate a list of keywords. The end goal for most keyword research is to identify and aid with the searcher’s intent. This can be done by making data driven decisions, but first, it’s important to understand what the data means. Taking the potential keywords, input them into Keyword Explorer to analyze the data. Paste keywords into the insert box and kept the search data country the United States. It is important to change this based on where your target audience is located. Notice at the bottom you can also select New List which will add/save these keywords into a unique list for referencing later. These lists are helpful if you want to have different saved sets of keywords for parts of your website, pages or clients in general. The overview and metrics tabs are equally important. But for the task at hand, let’s focus on the Metrics tab. The overview tab aggregates that data from all the inputted keywords and gives a summary of it. Whereas the metrics tab breaks down the data for each keyword. This is an Ahrefs specific score that calculates how hard it will be to rank in the top 10 results for a keyword. The score is calculated by how many referring domains the current top 10 results have for that specific keyword. It’s great for judging if it is worth targeting or not. The lower the KD score, the less difficult it is to rank for it. Volume is the amount of searches per month, averaged over the last 12 months. This metric helps you to determine how “popular” the keyword is. Be careful to not solely base your keyword research on volume though. This can cause problems with not accurately reflecting the user’s intent. This is a great metric that (at the time of writing this post) is specific to Ahrefs. It shows tiny icons next to the keyword that will explain what appears on the search engine page. For instance a related question, image pack, knowledge panel, shopping result etc. Using these three metrics for the client’s 20 keyword list, meaningful insights can be gained. The balance between finding a keyword with an achievable KD Score and substantial volume is imperative. Use this combination of this data to your advantage. Most marketers are so driven to increase volume and clicks, that they don’t realize the keyword they are targeting is nearly impossible to rank for in the top ten since you would need, say, 50 referring domains. They are blinded by the fact that the keyword has the highest volume. There might be a keyword that has 10-20% less volume but only needs five referring domains to rank, which is obviously a more realistic choice. After completing the above tasks, look at the list and use the three metrics to determine if your pre-selected keywords are realistically worth targeting. You now want to find additional keywords, based off the ones on your list that have a better balance of metrics. Butter toffee is a keyword originally found for the client example. You can see that the parent topic is ‘butter toffee recipe’. You might be thinking why is this the parent topic? It’s longer and more complex. This is because parent topics are found by taking the highest ranking page for your original keyword and taking the ‘best’ keyword that page ranks for. ‘Best’ refers to a combination of volume and traffic potential. If you click on the parent topic, it will expand the data on that word. It will also show you all the keywords that top page is ranking for. The additional keywords listed give good ideas for ones that might serve the user intent better and have an equal balance of metrics. For instance, with ‘butter toffee recipe’, it’s clear that the client’s page (which only targets one keyword) can rank for multiple keywords since there are many relevant ones within this list. The results from this are broken into three categories: having same terms, also rank for and search suggestions. Each category provides you with a different set of keyword ideas that are relevant or an expansion of your original keyword. To find out more about how each one of these categories is populated, check out this article from Ahrefs. After creating a list of the best keywords (using the practices above) for the client’s product pages, it’s time to begin optimizing for them. Focuse on three main on-page optimizations that can easily be changed with the help of DevOps or the webmaster. Optimize these three HTML elements to specifically target the new keyword that correlated with each product page. For example; if an old product page has an H1 titled ‘Award-Winning, Champion Butter Toffee’ and the new keyword to target is ‘Butter Toffee’, replace the H1 to become ‘Butter Toffee | [company name] ’ . Making these on-page optimizations based on your keywords will have a greater potential effect towards your organic search visibility. If you want to test these optimizations on a certain set of pages, split testing has become very popular for gaining further insight. I would highly recommend this article on the subject by Distilled Senior Consultant Tim Allen. How does this help you or your business? The tools from Ahrefs aid the keyword research process from beginning to end. Once you get the hang of the best practices above, time spent on keyword research will decrease and you will begin to make better, faster decisions using this research structure. People may say keyword research is a daunting task, but with the tools available presently it will feel less tedious and more about meaningful research. High-quality keyword research can be used to make some of the most impactful targeting changes that will improve your site and drive traffic in the long run. Wondering what the fastest way to make money online in 2018 is? No worries because that’s exactly what I’m going to show you today. Let me start by saying that there is no guarantee you will be successful in what I’m about to show you. However, your chances of success are high if you take the right actions and are willing to put in the work to learn. I know the Internet marketing niche is saturated with people who claim to have the golden ticket for helping you make money online. And to be honest, there is a lot of nonsense out there. Many of these “gurus” make money by selling you products on how to make money. Now, of course, that is still a valid business model. But the issue I have with it, is that some of these gurus give you specific vehicles for making money online that they haven’t even had success in themselves. If you have ever read my Gotch SEO blog, you know that I never share strategies unless I have personally tested, refined, and had success with them. In fact, I even share many of my failures because those are often the biggest opportunities to learn. With that said, this method that I’m going to show you for making money online is the vehicle I used to escape my terrible job, build a thriving business, and ultimately have the capital to invest into other, more scalable business models. So, what I’m going to show you today, is a business model that requires almost no capital to get started, has very little overhead, and can give you reliable monthly recurring revenue. After that, I’ll be showing you three strategies you can use TODAY to go out there and get your first customer or get even more customers. SEO consulting or full service SEO. So, the best way to show you the power of this method of making money online is to tell you a story. And don’t worry I’ll keep this short. So, back in 2013, I was working a truly awful job as a loss prevention manager. During that time, I was also working on several niche websites because I wanted to make enough income to quit my job and go full-time online. My goal was $3,000 per month. The challenge I faced is that I didn’t have enough capital to grow these niche websites fast enough. So, what I decided to do is begin looking for opportunities where I could do SEO for small businesses. Within only a few days, I landed my first full-service SEO client for a whopping $100 per month. In hindsight, it’s insane that I worked for that such a small retainer, but my goal wasn’t to bring in a ton of money. My goal was to get enough capital to support my niche site projects and to begin building a portfolio of successful SEO projects that I could leverage in the future. But the truth is, back then, I realized that getting businesses to pay me to do SEO was much easier than trying to build several new businesses at a time. So, that’s exactly what I began to do. After this realization, I quit my job, packed my stuff up, and drove to St. Louis to not only be with my wife but to start my SEO agency. Within the first month, I built my monthly recurring revenue beyond $5,000 and ended up making over $200,000 in my first full year in business. That is the beauty of full service SEO or consulting. You can grow your monthly recurring revenue very fast. Now of course, I’m not going to pretend that it’s all sunshine and roses. There are some cons when it comes to client SEO. Now, I’m not telling you this to scare you off. I just want to be realistic with what you can expect. The truth is that the pros of getting into client SEO far outweigh the cons. So, at this point, you’re probably thinking what can you do right now to either get started in client SEO or get more clients for your existing SEO agency. No worries, because I’m going to show you 3 ways you can get clients as soon as possible. Before, I jump in, let me quickly explain what you need to get started. You need proof that you actually know what you’re doing – Document every single positive result that you get from SEO. Create case studies, gather testimonials, and do everything in your power to build a strong portfolio. This increases your perceived value and will make your sales process easier. You have to be willing to face rejection and failure – Rejection and failure are effective learning vehicles and you should embrace them with open arms. There are no better teachers. As many personal development experts have said, you don’t learn much when you win. You learn far more when you lose because you get an opportunity to pivot. Now that you know what you need to get started, let show you three ways you can get your first SEO client or add more clients to your existing business. This is easily one of the most surefire ways to grow your client SEO business. The challenge is that is requires you to do outreach and build relationships. You identify agencies that offer SEO as a service. You then reach out to them and ask them if they would be interested in using a white label SEO service provider. If you succeed, you will then do the SEO for their clients, but they will get all the credit. So in essence, the agency can focus on acquiring new customers and your only responsibility is to get their client’s results. Many of my early clients were strategic partnerships. I can tell you from experience, that is a reliable and effective way to grow your agency. But with that said, you don’t want to rely on this white label relationships as your sole source for revenue. It’s best use a combination of white labeling and direct to client relationships. That way you stay diversified. The reason why white labeling is so great on your side is because you only have to sell to the agency one time. Once you partner up with the agency, they will send you new projects all the time. That is, if you are getting results. Identify companies that offer SEO services. The most obvious target is other SEO agencies, but you should also build a prospect list of traditional marketing companies, web design/development companies, PPC companies, graphic design companies, or even video production companies. Find contact information. You can use a tool like Voila Norbert or Hunter.io to find pretty much anyone’s email. Start your outreach. I’m not going to give you a ton of guidance on outreach because a templated-based approach will have low conversion rates. You need to use personalized, well-thought out email to build relationships. With that said, I’ll give you some key elements you need to cover if you want to have high conversion rates. Why do you matter to me? What’s your offer and how is it going to benefit me? I see this mistake so frequently when people reach out to me wanting something. They want without giving first. People want to know how they are going to benefit from your proposal. Think about how you are going to help the person you want to influence before thinking about your wants and needs. Lastly, give the individual a strong offer. Strong offers benefit the other party more than you. It’s that simple. Now you’re probably thinking, how do I do that? Just throw the prospects URL into SEMRush (20-day free trial) or Ahrefs to see their estimated organic search traffic. Getting into client SEO or any type of consulting work is one of the fastest ways to make money online. I’m so incredibly grateful that I stumbled upon this form of monetization because it was the ultimate teacher and most importantly, it gave me the capital to try other business models. Enroll in our free SEO 101 course now.